FC Bayern fan clubs from around the world each celebrate their fandom in unique yet familiar ways. We are giving these clubs the opportunity to share their stories and experiences. Thus far we have stopped in Canada, India, Washington DC, Brazil, San Diego and Argentina. In this edition we will be heading back to the United States to hear from the president of Miami München, Mike Morton, about how their club support FC Bayern from 8,027 km away. 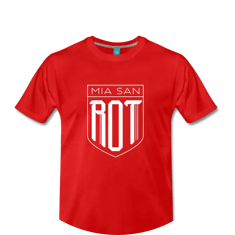 Eleven friends founded Miami München in 2015 during Bayern’s “Starting XI” campaign, looking to create an active club for FC Bayern fans in South Florida. The club means a lot to me given my own prior membership and board position with DC Bayern Capitol 11. I wanted to bring that same passion we built up in DC down to Miami and let Bayern fans in the area know they are part of a bigger family, especially in a sea of La Liga fans. Members are thrilled to be part of the club and participate in match watches and the other events over the past year – Especially with Bayern’s visit to Miami in Summer 2018. Exposing our members to more of the FC Bayern fan culture and seeing the joy on their faces really makes this club special. Miami München support both FC Bayern and Die Mannschaft at Fritz & Franz Bierhaus. We watch the matches at our local bar: Fritz & Franz Bierhaus in Coral Gables, Florida. We have a very great relationship with the owner who is also a massive FC Bayern fan. Nothing like having additional support from the bar! Insofar as traditions, we will chant after every goal just as they do in Allianz and I will call out the score in my best Stephan Lehmann impression! We are also fond of chanting “super Bayern” whenever we can. We also start the “Bayern” chant from one side of the bar to the other. When it is a packed house it is very special. When it comes to the food and drinks, you can bet you’ll find us enjoying pretty much any of the food at Fritz & Franz and especially the beer. It’s either Hefeweizen or Helles. You’d be hard pressed to find us drinking anything else, unless it’s celebratory schnaps. The Summer ICC match in Miami against Manchester City was a highlight for the club. For the club, I think FC Bayern’s summer tour to Miami. Members were able to attend the Paulaner Fan Cruise around Biscayne Bay, watch a semi-public practice at Hard Rock Stadium, a select few won VIP tickets for a meet and greet with Sandro Wagner and Serge Gnarby, and naturally the match against Manchester City (regardless of the outcome). Personally, my best experience was the first FC Bayern match I got to watch live and in person back in February 2012. It was a 2-0 victory against Schalke and Ribéry scored what I still think is the best counterattacking goal I’ve ever seen live. That was the beginning of what is now an annual trip to Munich to watch Bayern. Members of Miami München try to make it to the Allianz as often as possible. I go to Munich once to twice per year for matches. Other members make more frequent trips as they are from Germany, but we also have members who travel to Munich every few years to watch our Jungs in Allianz. The early morning matches are tough for us Miamians, as we prefer to live on a later schedule! If anything friends and family think we are fanatical or very dedicated to the club. They’re not wrong! Speaking from my own perspective, my wife is incredibly supportive when it comes to my love for Bayern and she will often accompany me to the bar, even at 9:30AM on a Saturday or Sunday. Similarly, my family members outside of Miami are all Bayern fans and will watch the matches as well. Focusing on maintaining the club’s identity even as football becomes more and more corporate. The fans, in particular those in Germany, do a great job keeping the club in check. We expect FC Bayern to win the right way and to look after the fans. The club tries to engage with other clubs by visiting, exchanging scarfs and through social media platforms. We interact with other FC Bayern fan clubs around the world through visits, scarf exchanges, and social media. We’re also developing relationships with two fan clubs for Inter Miami CF: Vice City 1896 and Southern Legion. It is important for us to build and maintain these relationships to help spread fan club culture as much as possible. It is a responsibility we are proud to have. Christmas is always a big draw for Miami München. Miami is an event city and also likes things to take place a bit later. Definitely any Champions League match will get a lot of attention given the later time and importance. Our biggest match watches often surround Christmas or those against Dortmund (I will not refer to it as the “K” word). In these matches we’ll have more specials at the bar and have giveaways. The Pokal FInale also gets a lot of attention from our members.